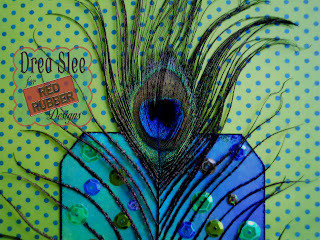 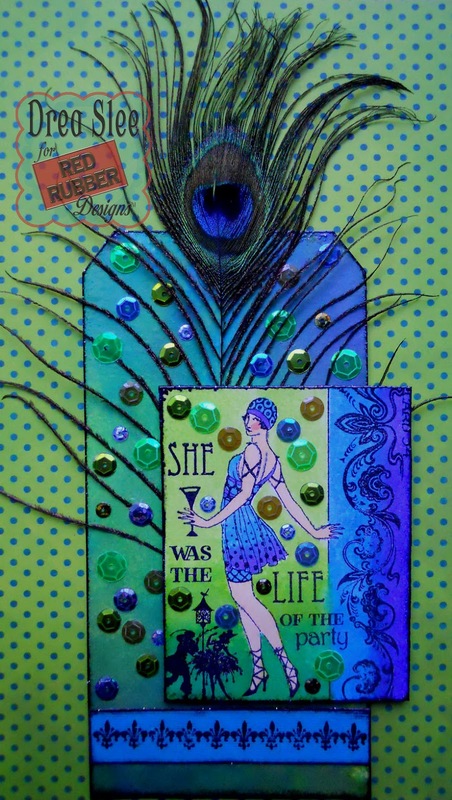 Inspiration can come in many ways, and mine for this tag was a peacock feather, featuring the Life of the Party Unmounted Rubber Stamp from Red Rubber Designs! 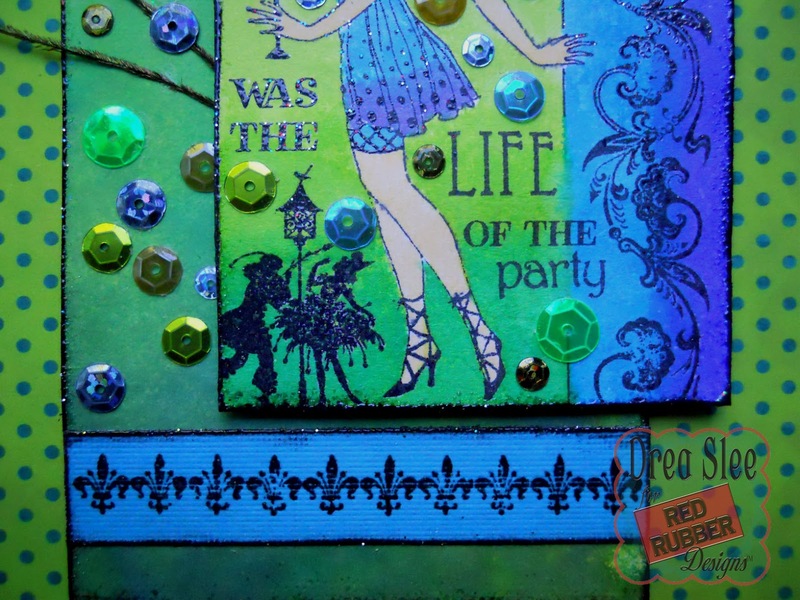 I used Distress Spray Stains to color the background of this manila tag, and to color the Life of the Party Stamp embossed with glitter onto white cardstock. 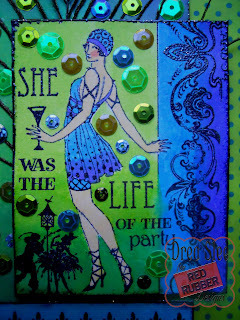 After adding sequins I popped it up for dimension. 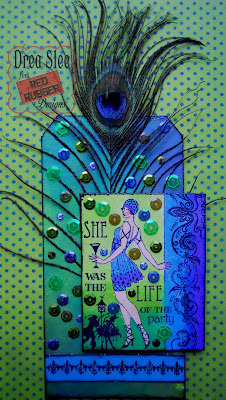 Then I added a border along the bottom with the Fanciful Vintage Unmounted Stamp Set, also embossed with glitter onto a strip of teal cardstock. 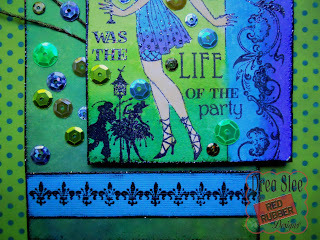 To really make the colors pop, I finished all of the edges with black embossed glitter. 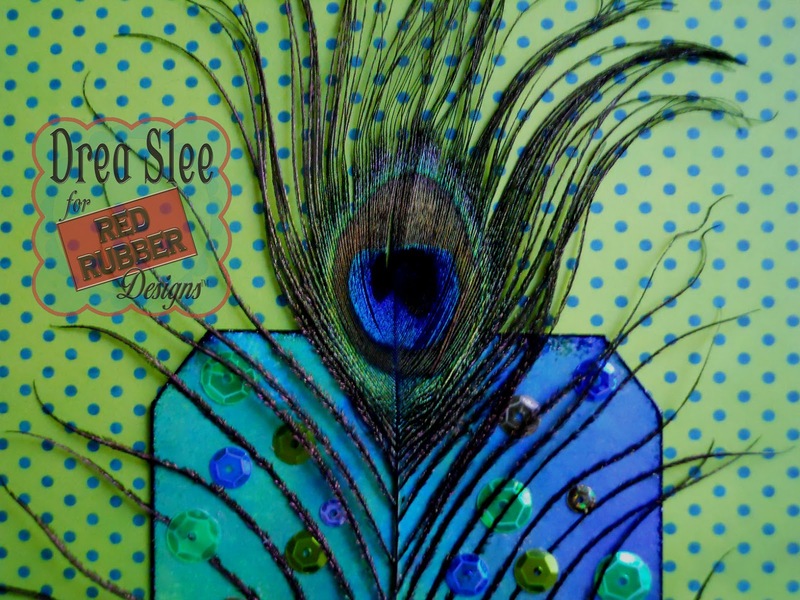 Thanks for your visit, and be sure to visit Red Rubber Designs for these stamp sets and more!